We are excited to announce that we will be hosting Back to School cookie decorating workshops for both kids and adults, so grab a friend and join the fun. 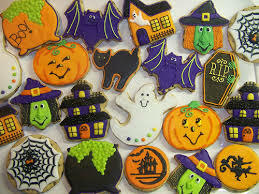 ﻿Join us and we will help you create fun and festive Halloween themed sugar cookie designs. We promise to make it simple and easy for any skill level and best of all we’ll take care of all the materials needed and clean up the mess! participants will create 12 Halloween themed sugar cookies. This is a BYOB event (ages 21 and over) ID required. Friday, October 20 -Adult BYOB Workshop -REGISTER CLOSED!! !